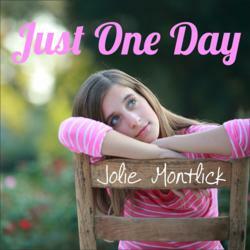 11-year old Jolie Montlick recently released her single “Just One Day” on iTunes, a song whose words enrapture its listeners with the innocence of young love. This comes just weeks after her newly released hit music video and song entitled “My Song for Taylor Swift” received 1.6 million views on YouTube. 11-year-old Country Musician Jolie Montlick announces the official release of her latest single "Just One Day." Jolie Montlick is a very talented singer and songwriter. Her music touches people's hearts, and you find yourself singing it throughout the day. 11-year old singer, songwriter and national anti-bullying spokeswoman Jolie Montlick announces the official release of her newest single “Just One Day,” right after her anti-bullying music video “My Song For Taylor Swift” went viral and generated over 1.6 million hits on YouTube. When listening to “Just One Day”, the YouTube’s sensation’s message of love conveys a total and complete sweetness and innocence rarely heard in a love song. The simplicity of her lyrics and imagery, for example, holding hands on the beachfront, exemplifies the purity of the two youth just discovering the onset of love. The reoccurrence of the sunshine imagery adds warmth and a sense of naturalness to this wonderfully sweet scenario. According to Jolie, “Just One Day is about a person who means the world to you... where you literally go somewhere just to see them. And then when you do, everything is ok because they are the sunshine of your day. It is a happy song, where when you listen to it you feel good. Jolie’s anti-bullying music video “My Song for Taylor Swift” has been seen across the globe, with viewers in over 100 countries. Jolie is donating 100% of the net proceeds from the sale of "My Song for Taylor Swift" to the Ambassador for Kids Club (a4kclub.org), a national anti-bullying organization that gives kids and parents the information they need to prevent, stop, and report bullying and child abuse. When not in school, wowing her fans or writing music, Jolie generously donates her time and efforts to helping others. As a National Spokesperson for A4K, Jolie regularly appears in public service announcements and television interviews to encourage kids to not be silent bystanders, and to speak up and take positive actions when they see or are faced with bullying. Jolie is also a Second-Degree Black Belt and two-time State Tae Kwon Do champion who has helped teach self-defense to thousands of kids. 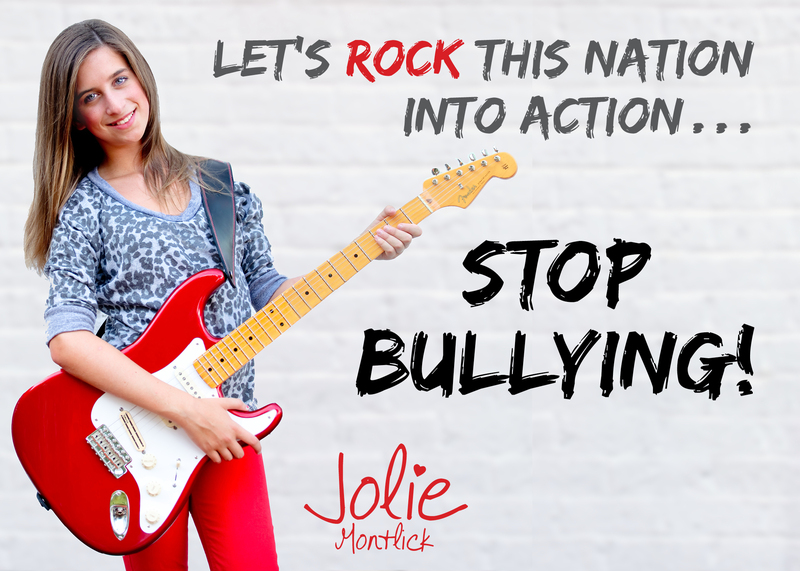 For more information about Jolie Montlick and her campaign against bullying, please visit http://www.JolieMontlick.com. To purchase Jolie’s songs please visit iTunes, Amazon or your favorite digital music distributor. Jolie Montlick's anti-bullying music video for her original tune "My Song for Taylor Swift" went viral in four weeks, and in 8 weeks had been seen by 1.6 million people in over 100 countries.11-year-old country music singer/songwriter Jolie Montlick announced the official release of her single "Just One Day." For more information visit JolieMontlick.com. According to Jolie, “Just One Day is about a person who means the world to you... where you literally go somewhere just to see them. And then when you do, everything is ok because they are the sunshiCountry Music Singer and YouTube sensation Jolie Montlick announces the official release of her new single "Just One Day." For more information please visit JolieMontlick.com. Jolie Montlick is also a National Spokesperson for the A4K Club, an anti-bullying program.In the music video for her original tune "My Song for Taylor Swift," Jolie sings about how Taylor Swift is such an amazing person, but even she was bullied, and that kids needs to use their voices to speak up to stop the bullying. JolieMontlick.com Jolie Montlick waiving to the crowd at the premier of her music video "My Song for Taylor Swift" at the Gwinnett Gladiators Professional Hockey Teams' opening weekend in Atlanta, GeorgiaMusic for your whole family: Country Music singer/writer Jolie Montick's songs are available on iTunes, Amazon and other digital music distribution sites. For more information please visit JolieMontlick.com.